When you're trying to lose weight, tamarind supplements may be a waste of time and money. Though there is some preliminary science that says Tamarindus indica and Malabar tamarind, which are two types of tamarind fruit, may help with weight loss, the evidence isn't strong enough to warrant weight-loss claims. Like any pill or potion promised to help you drop the weight, it's more hype than fact. Consult your doctor before adding a supplement, such as tamarind, to your daily routine to discuss use and safety. 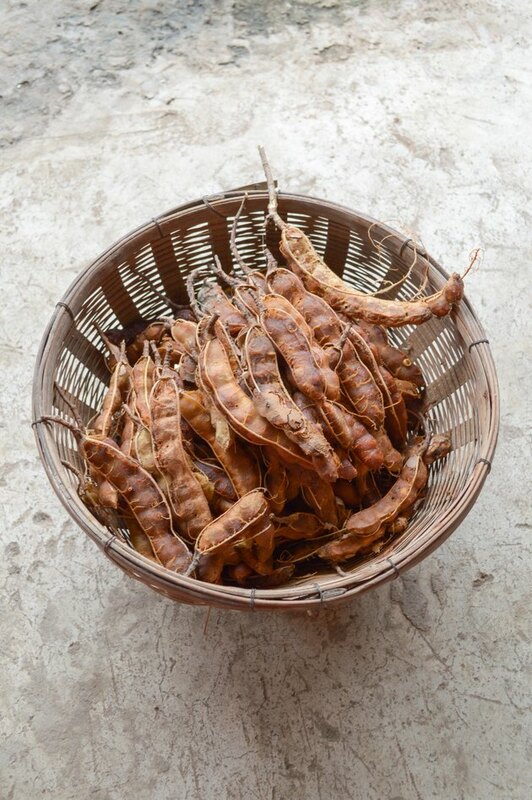 When you think of tamarind, you probably conjure up images of the long and flat seeded pod known as Tamarindus indica. Inside the pod of the tropical fruit is a brown pulp with a sour taste. The fruit is used to add flavor to savory foods such as rice and fish. It's also used to make chutneys, curries, sauces, drinks and a type of apple-butter-like spread. Tamarindus indica is used for a number of medicinal purposes, including as a preventative measure against diabetes and as a treatment for a venomous snake bite. A 2011 study published in the Journal of Pharmacology and Pharmacotherapeutics investigated the effects of a Tamarindus indica extract on weight in rats fed an obesity-inducing diet. The investigators found that the tamarind extract helped promote a significant weight loss in the rats. A 2012 study published in the Journal of Natural Medicine also found similar results in obese rats given a dose of tamarind extract. Though the tamarind extract may have benefited the rats, it's not known if it would have the same effect on humans, and clinical studies need to be conducted before claims for weight loss can be made. You may know Malabar tamarind better as garcinia cambogia, which is also a tropical fruit like Tamarind indicus. As a food, the rind of the fruit is usually dried and used in a similar manner as lemons, such as a flavoring agent for meat, fish and curries. It's also used to flavor drinks. The substance thought to be responsible for promoting weight loss in Malabar tamarind is called hydroxycitric acid, or HCA. The University of Maryland Medical Center reports that test tube studies indicate HCA helps block fat storage, and in animal studies it helps suppress appetite A 2011 review study published in the Journal of Obesity reports that while HCA may promote short-term weight loss, the effects are small, and more research is necessary to substantiate any claims. As with any herbal supplement, safety is a concern and something to consider before adding tamarind to your health regimen. There are a number of potential drug interactions, as well as safety concerns, with Malabar tamarind. The supplement can interact with a variety of other supplements, including iron, calcium and potassium, as well as diabetes medications, statins and blood thinners. You should not take tamarind supplements if you're pregnant or nursing. Less is known about the potential interactions with Tamarindus indica, but precaution should also be taken. What Are the Ingredients in Lipozene?